Welcome to Keller Williams Realty Keller Williams Greater Cleveland Northeast! Thanks for starting your real estate search with us. This website is full of information for you whether you are looking to buy or sell residential, land, or commercial property. Keller Williams Realty is the world’s largest real estate franchise by agent count, with approximately 800 offices and more than 150,000 associates across the the Americas, Europe, Africa and Asia. The company has grown exponentially since the opening of the first Keller Williams Realty office in 1983, and continues to cultivate an agent-centric, education-based, technology-driven culture that rewards associates as stakeholders. 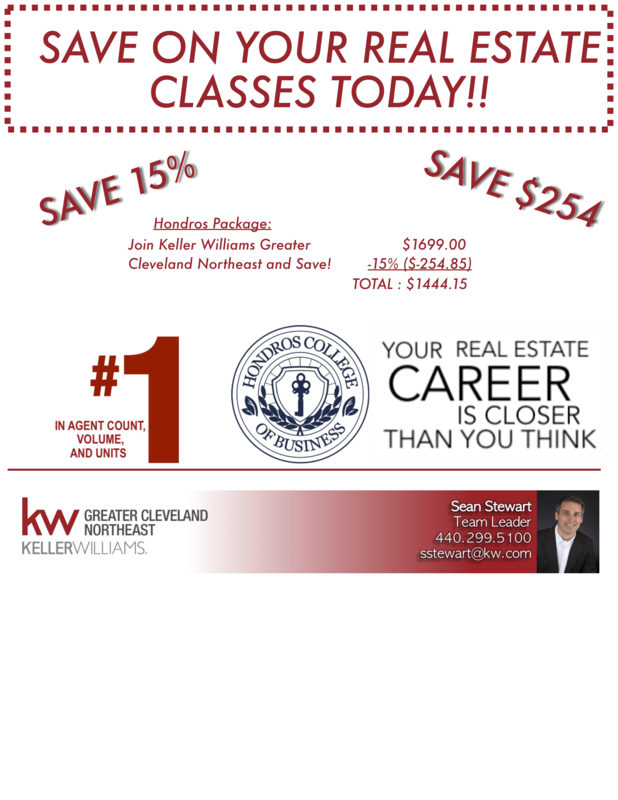 Hondros College of Business is Keller Williams Greater Cleveland Northeast's PREFERRED Real Estate Licensing Program! Call today to learn how we can save you 15% off of your Real Estate Licensing Classes!